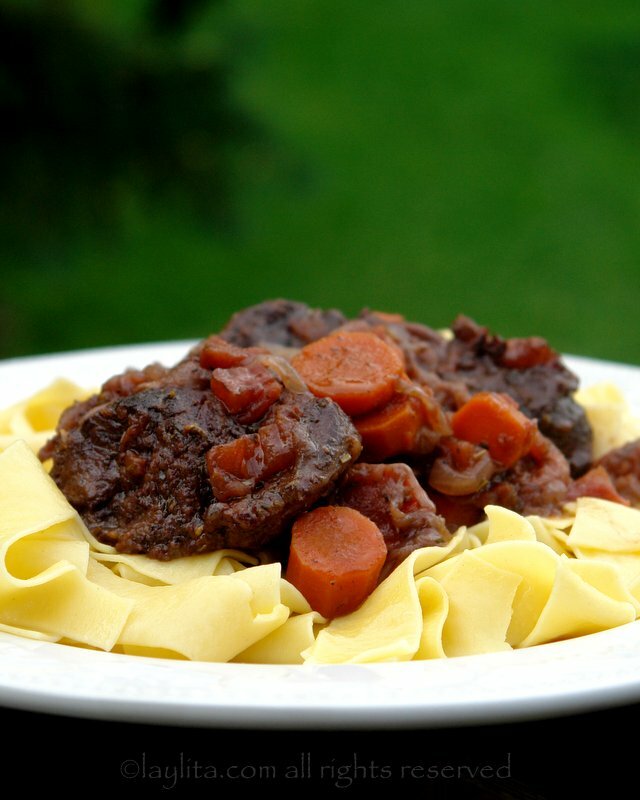 Beef daube is a classic Provencal or Southern French stew made with beef, onions, tomatoes, carrots, red wine, and herbs. 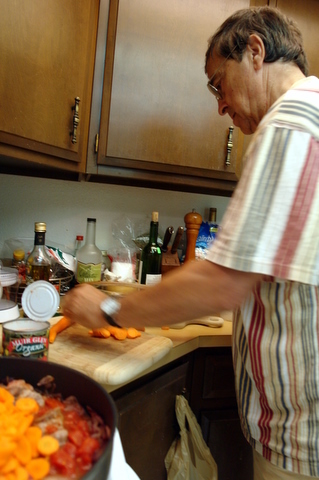 Bernard is my father in law and he is one of the best cooks I know. He’s the type of person that spends the whole morning carefully making the perfect sauce and braising meat slowly and patiently. To top it off he always serves each dish with a great wine. 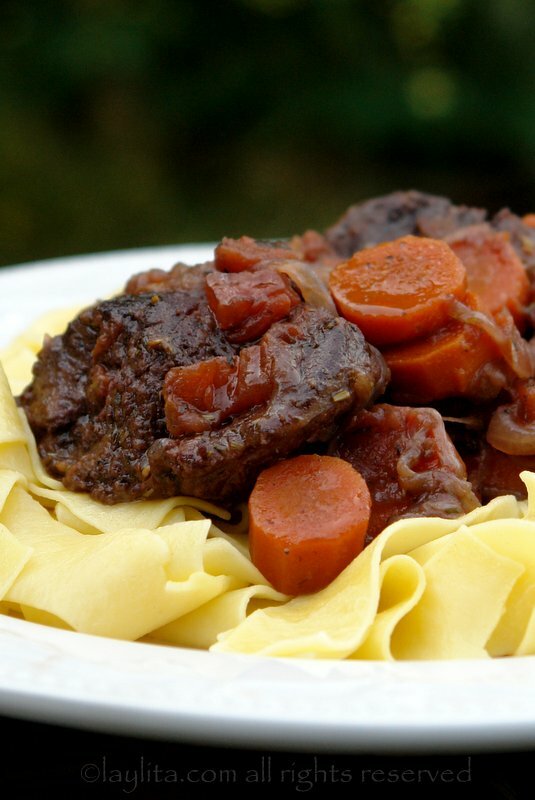 Daube is one of Bernard’s signature dishes: he’s done it for decades and is an expert at it. One of my favorite parts about visiting Nico’s family in Aix-en-Provence is all the amazing food -especially the homemade food- that we get to try. Nico’s parents visited us in 2008 for a few weeks and I had two items on the top of my list of dishes that I wanted them to teach me how to make: Monique’s leek tart, it is the best leek tart ever, I promise to share the recipe soon; and Bernard’s beef daube. They also prepared a great chicken and zucchini pasta dish, one of the best artichoke dishes, among many more that I hope to share as soon as I can document and photograph them. 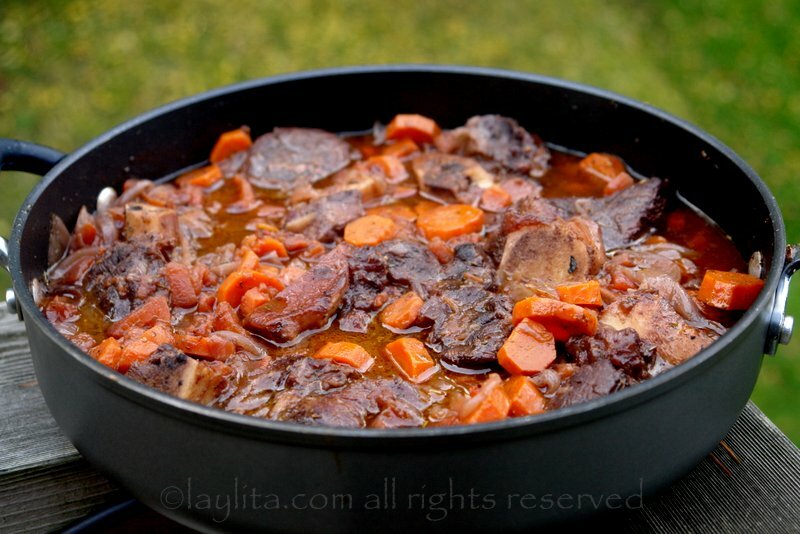 Easy recipe for beef daube, a classic Provencal or Southern French stew made with beef, onions, tomatoes, carrots, red wine, and herbs. 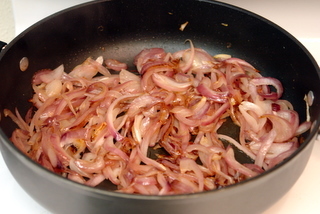 Heat the olive oil in a large sauté pan, add the meat chunks and brown them on each side. Remove the meat from the pan and set aside for later. 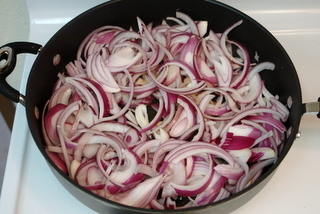 Add the onions slices to the pan and cook until caramelized. 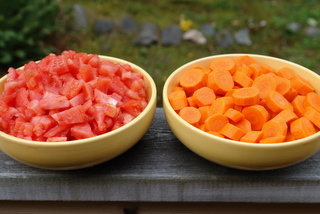 Add the tomatoes, carrots, wine, herbs, anise seeds, salt and pepper. Simmer for 2 to 3 hours or until the meat is very tender and the sauce has thickened. 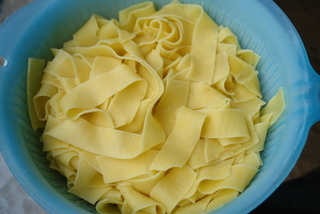 Serve with warm pastas or rice/potatoes. With this classic French beef stew from the south of France, it is all about long slow cooking, you start early morning and finish for lunch time. Bernard believes that the quality of ingredients is very important: “when you have good ingredients it’s hard to mess up the dish”. 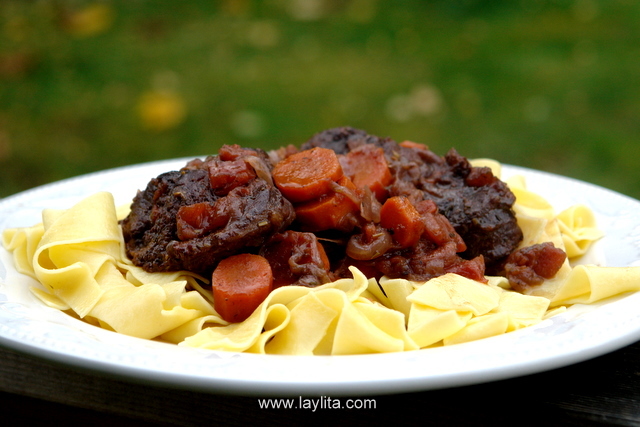 I’ve prepared this beef daube a few times already, it is very easy to prepare, and makes such a wonderful dish for this cold time of the year. Most daubes are made using beef, but can also be made with lamb. We went grocery shopping to Pike Place Market to the find the ingredients for our daube, Bernard was trying to explain the exact cut of beef that he used to make daube, which turned out to be shank – or the leg. While you can make daube with other types of beef cuts, Bernard likes to use shank because of that gelatinous consistency it has. 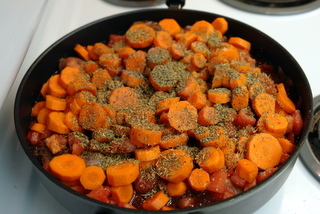 This helps thicken the sauce and since the meat is cooked for a long time it gets very tender. Now, I discovered that at least in the US, shank is not that easy to find, and even once we found a butcher that had some in stock he had it in the back, he explained that it is more common to grind it up and sell it ground than to sell it in pieces. The good thing is that the meat was very inexpensive and it reminded me that in Ecuador we use beef shank in a lot of soups, especially those that are cooked for a long time, the combination of the bone and collagen gives the broth a lot of flavor. 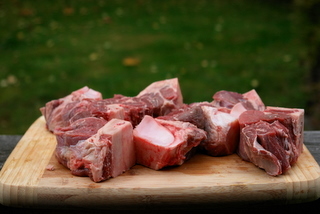 Shank can be bought either with the bone or boneless, both are good, I like it with the bone because I really think that bones add a ton of flavor to any dish, but my husband has this thing about bones and prefers it boneless, so sometimes I please him and sometimes I don’t, either way the daube turns out great. 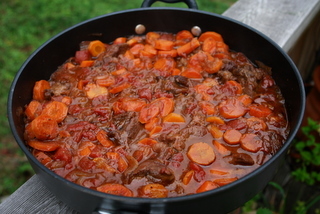 I’ve seen recipes for daube that add a lot of different vegetables, but Bernard’s daube keeps it very simple: onions, tomatoes, carrots, herbs and wine.When he prepared the daube he used canned tomatoes, he said he didn’t want to waste my good fresh tomatoes – which he thought would be better for salads where you can appreciate their flavor. When I recreated the dish on my own I used fresh tomatoes instead, and there wasn’t really a difference in the taste, so now if I have fresh tomatoes and the time/patience to peel them I use them and if not I just use the canned diced tomatoes. The daube is seasoned with herbes de Provence, which is a mix of dried herbs that are typical from the Provence region in France, it is easy to find them in the dried herb and spice section at most supermarkets, I usually stock up when we visit France and have family or friends who visit bring us some, you can also just mix your own using dried thyme, rosemary, marjoram, oregano, basil, sage, lavender, fennel. The exact proportions of dried herbs and which are used tends to vary from one brand to another, but thyme is usually predominant. Bernard also likes to add some anise seeds to his daube; I think this is part of his signature touch. 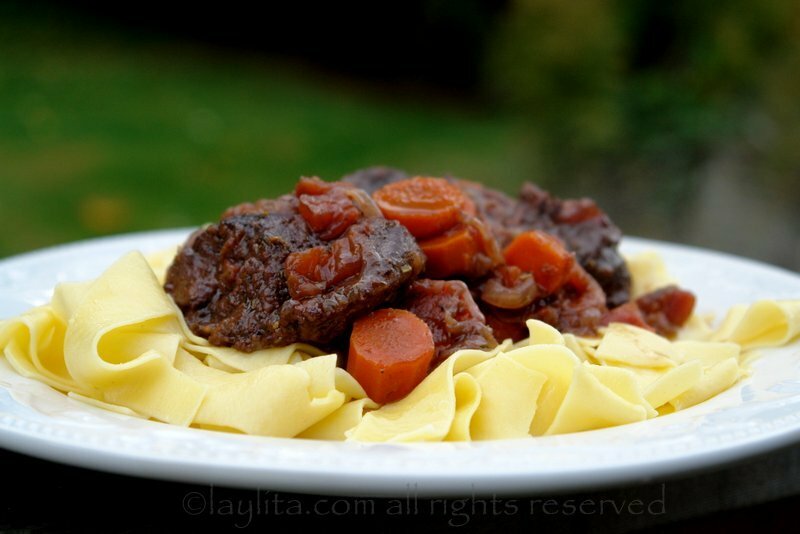 Daube is typically served with pastas, though the South American in me keeps thinking that it would also be wonderful with rice. Merci Bernard pour la recette! Can i use pinot noir for the red wine or do i need to use the red wine that has a label for cooking? I never use wine that is labeled for cooking, find a decent inexpensive red wine (can be pinot noir or any red wine that you prefer) and use it. 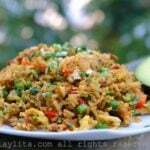 Hi layita it looks so delicious ! Can’t wait to try it. I want to make this recipe for lunch. Quick question do you think it would go well with rice instead of pasta? Hi Gaby – Yes, it will go great with rice – especially because the rice will soak up the juices from the stew better than the pastas. Hi laylita, trying this now. When using canned tomatoes, so we drain juice out? You can if you want to, but don’t have to. can I substitute red wine because I can’t cook with !! Hi Sam – You can use a good quality beef stock and some tomato juice. delicious! can you tell me please how many people this will serve? thank you! Most recipes on this site are for 8-10 people. Found your website a few hours ago and am now simmering the beef daube. I loved the way your photos progress throughout the making of the dish. I hope my son & fiance like it, since they are coming over for dinner! 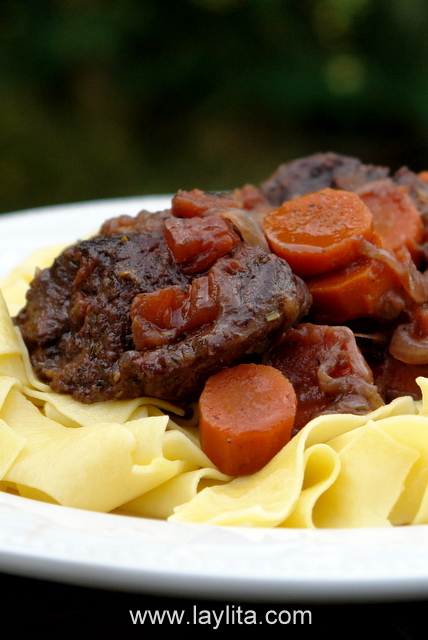 I made this recipe for my grandmother after she told me the best meal she ever had was beef en daube. i made it in a crock pot. Once again grandma was right. this was AWESOME!!!!! Making it this weekend for some special friends. I have the opposite situation you have. 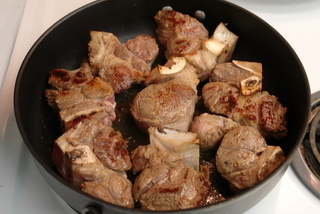 Beef shank was easy for me to find but recipes were hard to come by. I keep finding osso bucco but that needs veal shank. I found this recipe and it looks good. I read that people add anchovies too so I’m going to do that since I have a good tin. I don’t have anise seed but I do have a bottle of Pernod. Do you think that would be a good substitute? 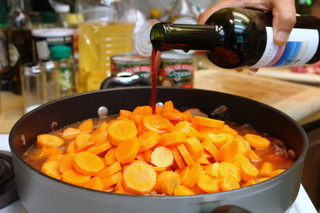 Hi Gael – You could add a tbs of Pernod to the stew, it is also good without the anise seeds. 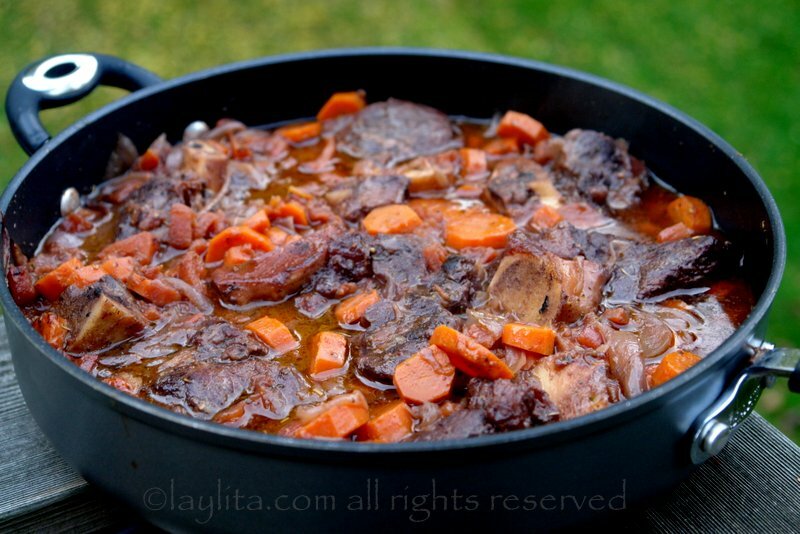 I come from Mauritius,overthere we make la daube too which we’ve inherited from the french. I’m making this right now. Can’t wait. You might want to emphasize the SIMMER part. If you boil the meat it will become tough and not cook properly; boiling the meat is the death of all slow-cooked meat dishes. I just made this following the recipe and will say, this is the best I’ve had. Don’t know if it was the wine or the anise seeds. I will pass this one along for sure. Sounds and looks very good. 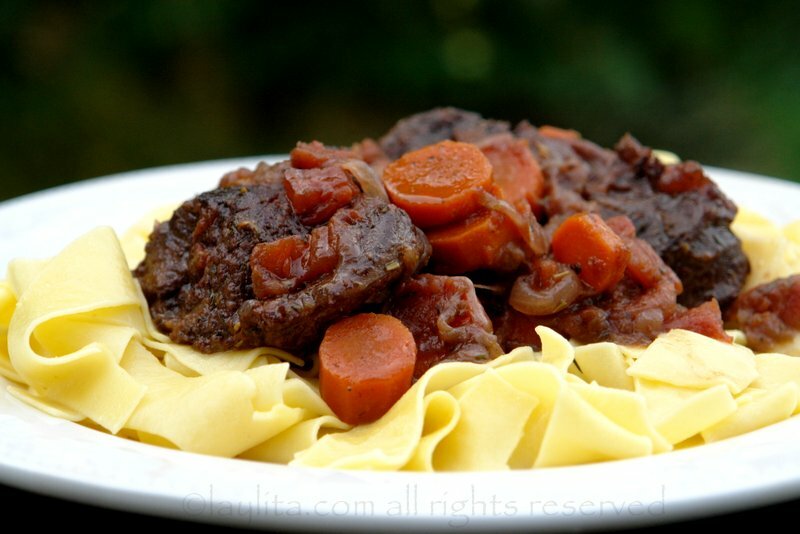 That beef stew looks really good! Beautiful photos! I love seeing how everything came together in the pot. 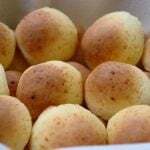 So nice that he shared this recipe with you. Can’t wait for the other recipes. Comfort, comfort, comfort food. I think I just gained 5 pounds looking at this dish. What a stunning photo! I love cooking with wine and can’t wait to give this recipe a try! My dad and husband love beef stew! I can’t wait to try this recipe. As usual your pictures are gorgeous, I just love your site. 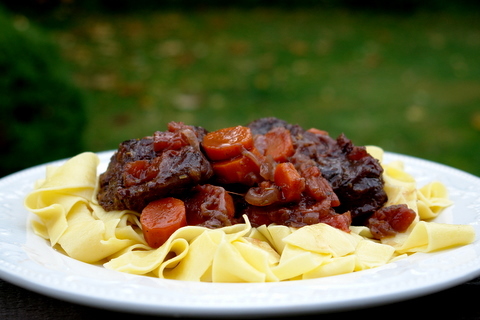 This Daube looks fantastic! Really droolworthy… He is a great cook, indeed!